Corona Cigar Company Blog: Party w/ the entire Drew Estate gang at the AFTER PARTY! Party w/ the entire Drew Estate gang at the AFTER PARTY! 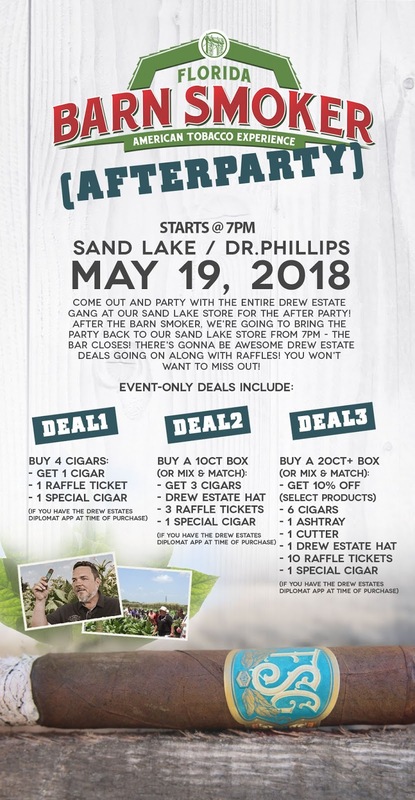 Come out and party with the entire Drew Estate gang at our Sand Lake store for the AFTER PARTY! After the Barn Smoker, we're going to bring the party BACK to our Sand Lake store from 7PM - the bar closes! 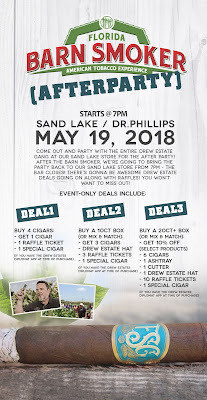 There's gonna be awesome Drew Estate deals going on along with raffles! You won't want to miss out! It's National 'Smoke A Cigar' Day! Shop over 80 Cigar Bundles & Save up to 70% off! Only 15 tickets left for the Florida Barn Smoker! Cheers! Choose your Camacho freebie...on us! 🎵 Music & Cigars. The secret to a great life.